Meet Pontochou Mirai, my childhood friend - fashion mag model, top of her year in academic ability, and an outstanding athlete to boot. She's that kind of cheating-at-life-type high school girl, except... Everyone has their eccentricities. In her case, she's a total clean-freak. Now meet Umi-san - the girl that I have a secret crush on. Mirai happened to pick up her notebook one time. 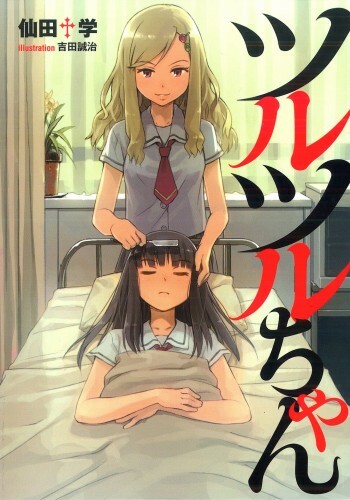 And ever since then, my clean-freak of a best friend for the past five years... keeps trying to shave Umi-san's head. A super new sensation awaits in this squeaky-clean school story. Damn I want this title. I tried to research a bit about the title and it seems like it's kinda a title with different interpretation according to who is reading it from not getting the point of it to it means great deal that even the title means a lot when you read it. @ysea01 I tried to make the blurb less of a disgrace to the English language. You can thank Amazon and my very limited JP skills (not sure I got all the names right...). @ysea01 No, seriously. You should edit your OP. A good description goes a long way. Sound like a good one shot, but at this rate all of JNC one shot are going to be strange/excentric strories, not that it's a bad think. Weird titles are the BEST!